EXCLUSIVE: After a week of intense negotiations, a couple of deadlines and best and final offers, Criminal Minds leads Thomas Gibson and Joe Mantegna and co-stars Shemar Moore, Kirsten Vangsness and A.J. Cook have all signed new two-year deals to continue on the veteran CBS crime drama. Read the whole scoop on deadline.com. “Brothers Hotchner” and “The Replicator” – The Replicator zeroes in on the BAU when the killer targets one of the team as the next victim. 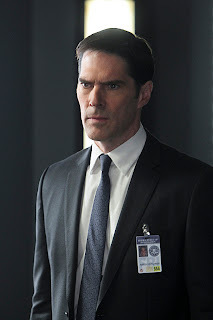 Also, the BAU is called in to investigate a string of deaths in Manhattan tied to apparent ecstasy overdoses, and Hotch discovers that his estranged brother, Sean, is caught in the middle, on the two-hour eighth season finale of CRIMINAL MINDS, Wednesday, May 22 (9:00-11:00 PM, ET/PT) on the CBS Television Network. Mark Hamill guest stars. Bellamy Young returns as Hotch’s girlfriend, Beth Clemmons, and Eric Johnson reprises his role as Hotch’s brother, Sean. “#6” – The BAU goes to Detroit to track an UnSub with a rapidly changing MO. Also, Blake’s husband returns from overseas with a life-changing career proposition for her, on CRIMINAL MINDS, Wednesday, May 15 (9:00-10:00 PM, ET/PT) on the CBS Television Network. Guest stars include D.W. Moffett as Blake’s husband James and Erin Cummings as kidnapping victim Emma Churchill. EXCLUSIVE: Criminal Minds executive producer/showrunner Erica Messer has closed a new two-year overall deal with ABC Studios. Under the pact, she is set to continue as showrunner on the studio’s veteran crime drama. Locking in Messer has been considered key to Criminal Minds‘ renewal. 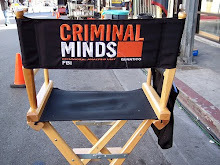 CBS did not pick up the show for another season along with its other series because of too many uncertainties as Messer and key cast members Thomas Gibson, Joe Mantegna, Shemar Moore, Kirsten Vangsness and A.J. Cook all had no deals beyond this season. ABC Studios and CBS are yet to lock in the actors, but Messer’s deal is expected to help the process.